Was Modi illogical in pitching for Kartarpur? If Radcliffe had not changed the boundaries to allot the Muslim-majority district of Gurdaspur to India, we would have lost Amritsar and the only road link to Kashmir. 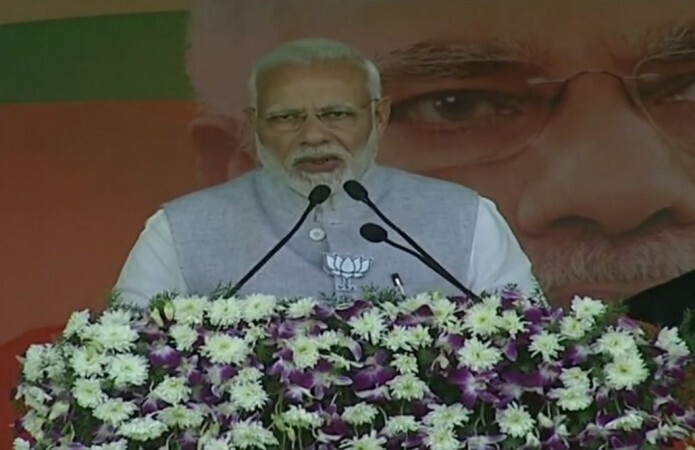 Prime Minister Narendra Modi on Tuesday made a startling remark that the Congress was responsible for loosing the Sikh pilgrim centre in Kartarpur to Pakistan during the 1948 partition. In his last leg of election rallies in Rajasthan, Modi has alleged that Kartarpur was lost to Pakistan because of "insensitivity and lack of vision" on the part of then Congress leaders. Indirectly, he was referring to Pandit Jawaharlal Nehru and Sardar Vallabhai Patel, who were the two Congress leaders at the helm when partition took place. The Kartarpur shrine, an equally important shrine known as Guru Nanak's abode, was lost as it was rebuilt in 1925 on the on the right bank of the Ravi river, and was geographically part of Shakargarh tehsil. What happened during the partition was equally intriguing. Going by Modi, Kartarpur would have come to India had our leaders been benevolent to what was offered on a platter. But we would have lost both Amritsar and the key road link to Kashmir that would have proved fatal by now. Drawn by an English official Cyril Radcliffe, known as the Radcliffe Line, it had awarded the Shakargarh tehsil on the right bank of the Ravi river, including Kartarpur, to Pakistan. The Gurdaspur tehsil on the left bank of Ravi, with Amritsar, was given to India. It was often said that Viceroy Lord Mountbatten had indirectly made Radcliffe change the boundaries to allot the Muslim-majority district of Gurdaspur to India instead of Pakistan, thus giving India the only road access from Delhi to Kashmir. If it was not for the foresight of Nehru and Patel, their proximity to Lord Mountbatten, India would have certainly lost entire Gurdaspur and in turn, would have got Kartarpur, without Amritsar. Then, history would have been replete with instances of how foolish our leaders were then. In fact, many studies by UNESCO-aided projects based on declassified documents prove this point. Had Nehru and Patel not kept Lord Mountbatten in confidence, India would have lost Gurdaspur and eventually even the northern areas by now. It was a blessing in disguise that Shakargarh was bargained for Gurdaspur during the partition.